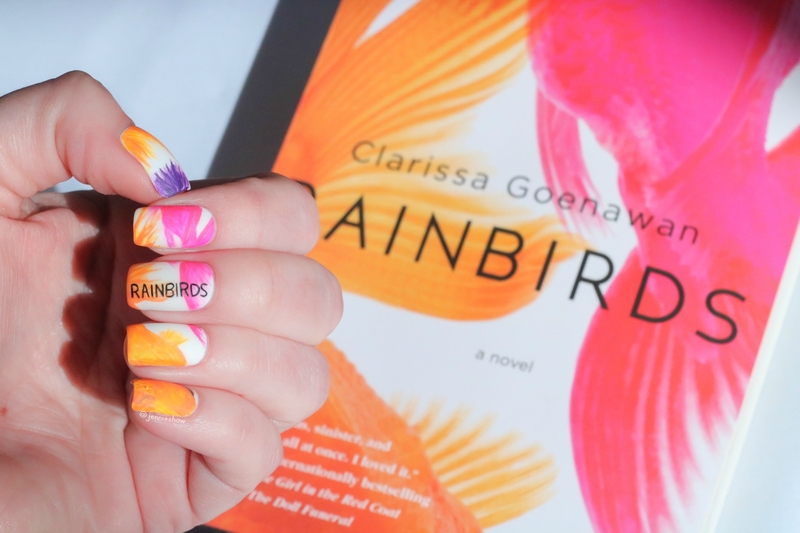 RAINBIRDS is a quiet and powerful story about love and grief. The sort of novel that should not be rushed through, it defies genre. 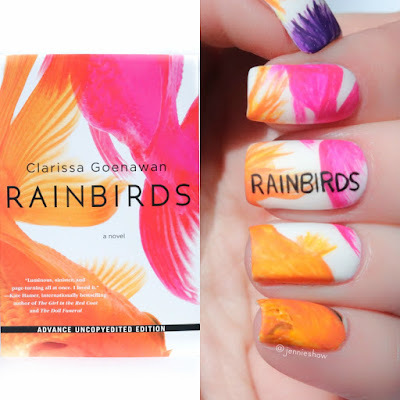 The use of multiple literary elements wove together to create a silken tapestry and the result is a stunning debut that in no way reads like a debut. Oh yes, this is a raving five-star review so get ready for the awesomeness! Ren Ishida is nearly finished with graduate school when he receives news of his sister Keiko's sudden death. She was viciously stabbed one rainy night on her way home, and there are no leads. Ren heads to Akakawa to conclude his sister's affairs, still failing to understand why she chose to abandon the family and Tokyo for this desolate town years ago. Goenawan’s sparse writing took a few chapters to sink in to, as my mind has become more accustomed to digesting longer sentences with short pauses for commas. But once I found the rhythm, this elegant style of composition elevated the story’s reflective nature. Firmly grounded while still maintaining airs of magical realism, the deceptively simple prose became a whisper in a crowded room that beckoned me to come closer and stay a while. Now, the grief. Personally, I tend to keep my emotions under wraps and Ren’s similar personality in that regard meant there were no dramatic outbursts. His baseline of pain remained with him at all times, but confined to his peripheral vision as he tried to find out what happened to his sister. As Ren learned more about Keiko’s circumstances in Akakawa, he had to navigate a host of emotions that surged to the forefront, mostly because Ren realized he didn’t know Keiko as well as he’d thought. Those devastating moments were more contemplative than explosive, and it’s where Ren’s grief became palpable—introspective acceptance that made my chest tighten while tears pressed against the back of my eyes. A feat of accomplishment, because I never felt manipulated. 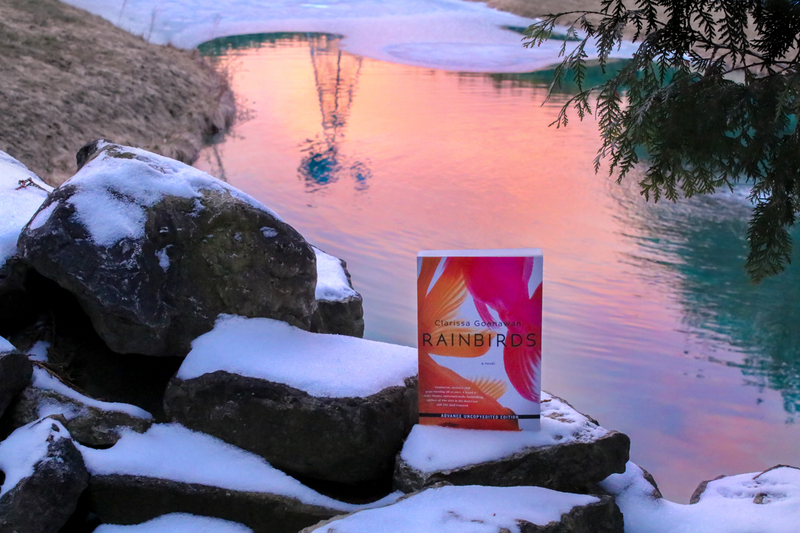 Instead, RAINBIRDS read like I’d been invited into the most guarded parts of Ron’s consciousness during a painful moment in his life, and the empathy I experienced came from a genuine place. So while there are mystery elements, RAINBIRDS isn’t a whodunit. Nor is it pure magical realism or simply an examination of grief. Instead, it’s a story that stands by itself, gleaming like a beacon for those who want to feel something real. I cannot recommend it more intensely (*stares at you for an awkward amount of time*) so for real you need a copy as soon as humanly possible. Big thanks to Clarissa for sending me an ARC all the way from Singapore! Such a fun springs book cover.